See the company's commitment to inclusion and diversity through various campaigns. The girl gang of Oceans 8 hits theaters on June 8, revamping 2001's big franchise Oceans 11. Bringing an all-female cast to this heist film has many singing the praises of more women being represented in mainstream art. NBC writes that director Gary Ross says the film celebrates eight different women who come from eight different backgrounds, and that it is crucial to have equal representation in films–diverse people working as actors, directors, producers. The same can be said of the tech industry as well, a field where issues of diversity are often called into question. Cisco works to highlight women leadership and also to advocate diversity in the company every day—here are a few examples. The annual Women of Impact conference took place in March, bringing together Cisco employees across the globe to "attract, develop, retain, and celebrate women". This year, more than 100 offices and more than 15,000 people engaged in the day by joining the conversation of the challenges women face in the workplace. Around the same time was International Women's Day, a moment to celebrate the different achievements of women around the world. Alongside the Women of Impact conference, Cisco also held a 24-hour Facebook livestream where company leaders, executives, and employees spoke about their experiences as women or with women working at Cisco. Cisco's Women in Cybersecurity initiative addresses the lack of women representation in the cybersecurity industry—women only fill 11% of security jobs. A group of more than 300 members provides support and learning for those in the internal organization. You can check out the Women in Cybersecurity blog series to see how the group is investing to grow and support women in cyber. 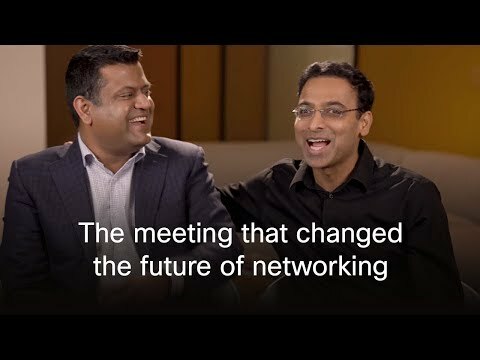 Our People@Cisco video series highlights leaders and innovators at the company. You can check out a profile on Chief Privacy Officer Michelle Dennedy here or one on DevNet co-founder Susie Wee here.